RAVE-X icons are fusion of Fanenza, Elementary and other icons. 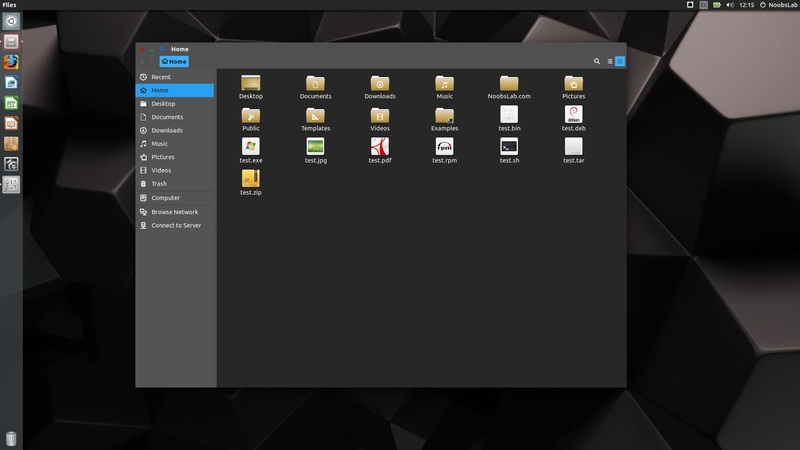 It Features brand new "Modern" folders based on Elementary. 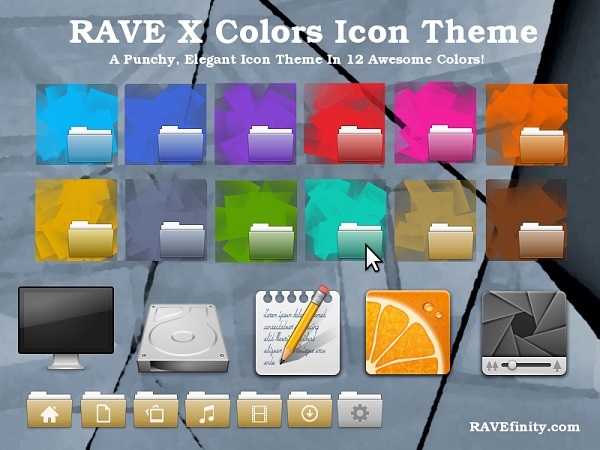 RAVE-X Icon Theme is a vivid and "classically styled" icon theme, with lots of eye candy. It is an alternative "non flat" icon theme for those who still like the classic icon style. It comes in 12 Punchy Colors. For Light, Dark Panels and Full Dark For Dark Toolbars (Like Ambiance) letting you choose your own color and look good while doing it! RAVE-X is sort of an unofficial continuation of the Faenza icons (RAVE-X is NOT a fork of Faneza). But with new color folders and lots of little updates/fixes. Libra Dark theme used in following screenshots, you can use Unity Tweak Tool, Gnome-tweak-tool or Ubuntu-Tweak to change themes/icons. What is your favorite icon theme?